We are please to announce that today we have launched our first unlimited package. It is specifically designed for WordPress hosting with unlimited space and bandwidth option. However the single package will be limited to one domain only and can be upgraded later on if required. The unlimited WordPress hosting package is 12 dollar per year which again follows our 1 dollar per month hosting policy for starter packages. Free Website Migration :- We will help you transfer your site from other hosting provider. Setting up WordPress:- We will help you in setting up WordPress on you site. Launching the site:- We will launch the site for you. Just tell the theme (if its free) or send us over the files and we will upload and get it running for you. Jing.LOL Not related to HostMayo! 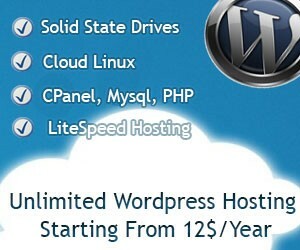 Posted in Website•Leave a Comment on Unlimited WordPress Hosting Package!